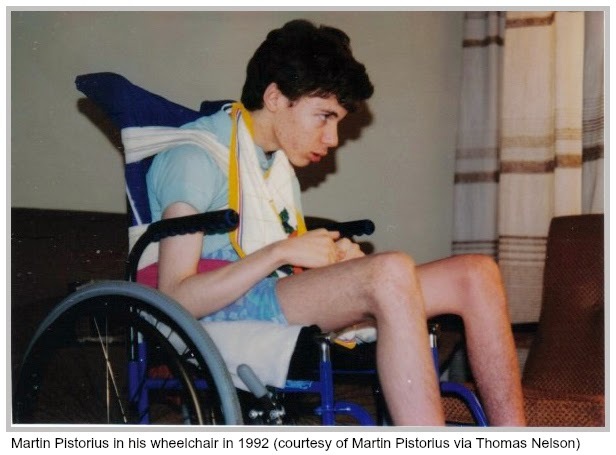 As a healthy 12-year-old South African boy, he became suddenly ill and slipped into a seemingly vegetative coma called “total locked-in syndrome”. Several years after the onset of his illness, his brain began to slowly waken and recover, but his body did not. Martin was stuck like a “ghost” for over a decade watching people interact around him without knowing he was fully aware of their activity and conversations, which sparked a very depressed period of dark thoughts and frustration. When Martin learned how to use a computer to communicate, his whole world changed and nothing could hold him back. He got a job, started a company, and even fell in love.